It has just come to my attention that the elections in South Africa have been set for the 7th May 2014. The UBUNTU Party will start promoting our strong stance for the complete liberation of the people from all economic hardship and enslavement by the banksters who control our government and all corporations in our beautiful country of abundance. 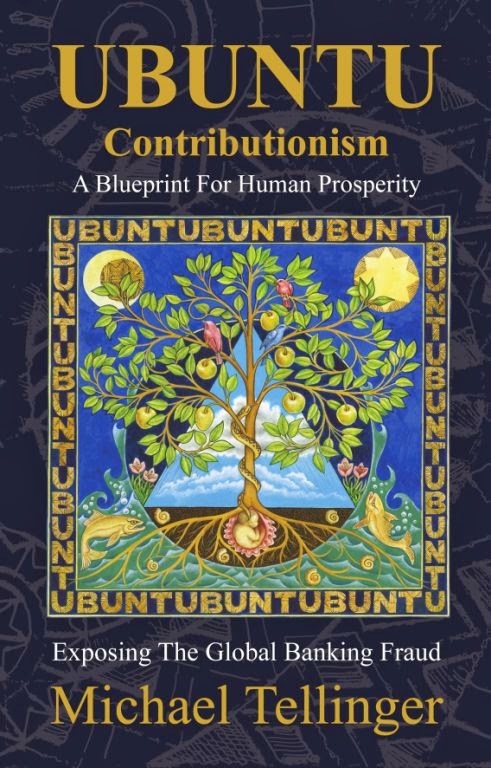 We continue to promote the philosophy of UBUNTU while rapidly moving towards a social structure we refer to as Contributionism - where people live in communities of their choice, not determined by socioeconomic circumstance. Communities that exist and thrive without money and allow everyone to contribute to the greater well being of all others in their community with their God-given talents or acquired skills. All of this information is available in several documents on this website and in the UBUNTU Contributionism book. Along with the news of the election date, has come the shocking news that we will have to find R650,000 (about US$65,000) to participate in the elections on all levels - i.e. national and regional levels. This is just another reminder how money controls everything in our lives - even the right to stand in an election and participate in a democratic process which we all believe is our right. Unfortunately - just like there is no justice without money, there can be no participation in elections without money. If ever there was a situation that completely contradicts our Bill of Rights and Constitution - this is it. So - The UBUNTU Party will start the frustrating task of fund raising within the next weeks. Although this flies completely in the face of our "world without money" philosophy, I have stated many times that we will have to use money to free ourselves from its stranglehold. I do hope that this is blatantly clear to those who have been following our progress and activity. 2) To secure a minimum of 1000 regular monthly contributors of $10 per person - to allow the UBUNTU movement to keep growing, spreading the information and UBUNTU philosophy worldwide, and implementing the many community projects we propose in our manifesto. We urge those that can afford to make a small monthly contribution to please go tho this link http://www.ubuntuparty.org.za/p/donate.html - and choose the amount you can afford. I will release additional information regarding the fundraising for the Election R650,000 as soon as possible. Till later - love and Light and UNITY to all. Michael of the family tellinger.